USS GUADALCANAL was the third IWO JIMA - class amphibious assault ship (helicopter) and the second ship in the Navy to bear the name. 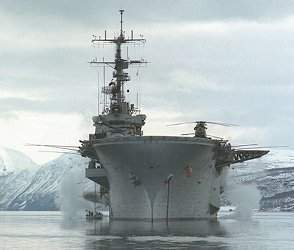 Decommissioned and stricken from the Navy list on August 31, 1994, the GUADALCANAL was subsequently laid up at the James River Reserve Fleet, Fort Eustis, VA. Transfered to the Maritime Administration (MARAD) for disposal on March 16, 2000, the GUADALCANAL was later scheduled to be towed to New York City to serve as helicopter landing platform in the INTREPID Sea, Air and Space Museum area in September 2001. 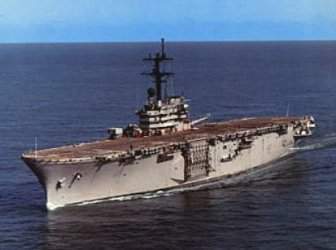 However, those plans were cancelled and the GUADALCANAL was reaquired by the Navy on February 5, 2004 for use as a target. The ship was finally sunk as a target in the Virginia Capes area on May 19, 2005. This section contains the names of sailors who served aboard USS GUADALCANAL. It is no official listing but contains the names of sailors who submitted their information. 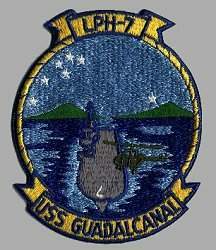 Click here to see which USS GUADALCANAL memorabilia are currently for sale on ebay. 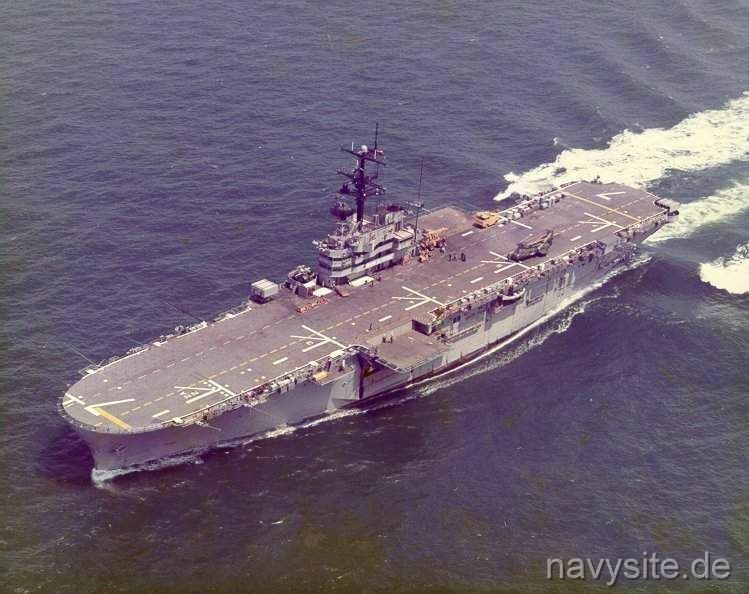 USS GUADALCANAL is adrift off North Carolina due to a burned out bearing in the propulsion system. 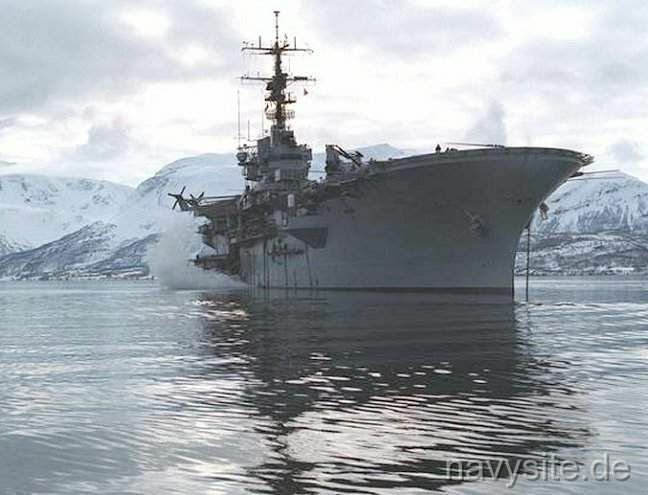 USS GUADALCANAL goes aground on a peak of coral which pushes in areas on either side of the bow, but does not crack or hole the ship. On January 30, with cargo, personnel, helicopters, and fuel off-loaded to assist the effort, the ship is refloated. A USMC CH-53C helicopter crashes while attempting to land aboard the USS GUADALCANAL during training exercises killing all five crewmen. USS GUADALCANAL and the USNS WACCAMAW (T-AO 109) collide during an underway replenishment causing minor damage but no injuries. 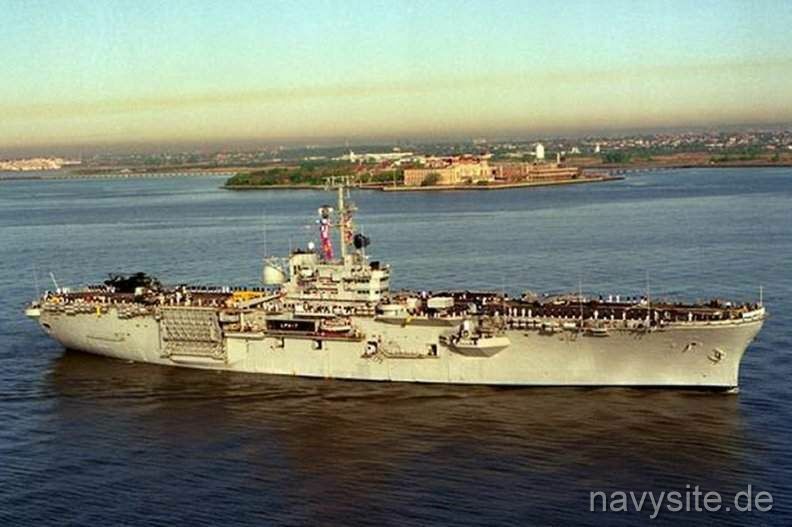 Back to Amphibious Assault Ships list. Back to Ships list. Back to Selection Page. Back to 1st Page.